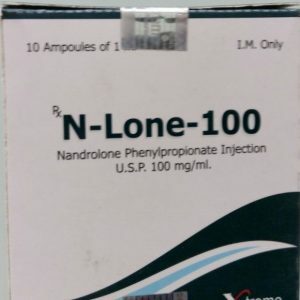 Dosage form: ampoules with a solution for intramuscular injections. 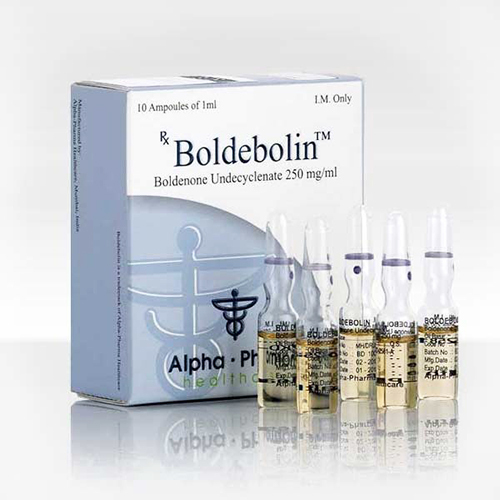 Boldebolin 250: 250mg Alpha Pharma is an effective drug derived from testosterone with low androgenic activity. 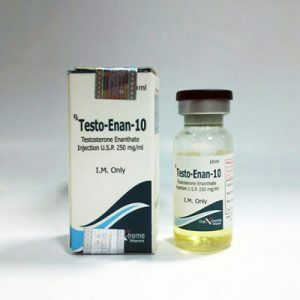 Promotes a set of high-quality lean muscle mass and an increase in power indicators of athletes bodybuilding and power triathlon (powerlifting). Pharmacological action of Boldebolin 250: 250mg Alpha Pharma (Boldenon) causes a slow but steady increase in the relief and solid muscles. The drug enhances appetite and stimulates hematopoietic function. During the course intake of Boldebolin 250, an increase in the number of red blood cells in the blood is observed, which improves the oxygen supply to the muscle tissue during training. 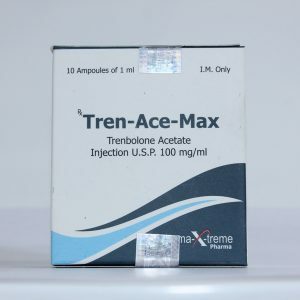 Due to the positive effect of Boldebolin 250 mg on the indices of endurance, the drug is used in athletics. The main purpose of Boldebolin 250 – course application for drying and normalizing the weights of athletes. 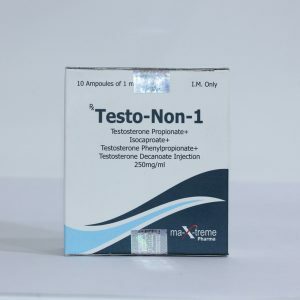 The drug allows you to avoid fluid retention in the muscles and forms a pronounced relief and venous prorisovannost. Experienced athletes consider Boldebolin 250 to be an ideal anabolic with a wide range of uses and with minimal side effects. The course of application of Boldebolin 250 mg lasts 8-10 weeks. The optimal amount of the weekly amount of the drug is 400-600 mg, which are administered once into the muscle tissue. A smaller amount does not give the expected effect, but an increase in the dose is also undesirable due to the risk of complications.